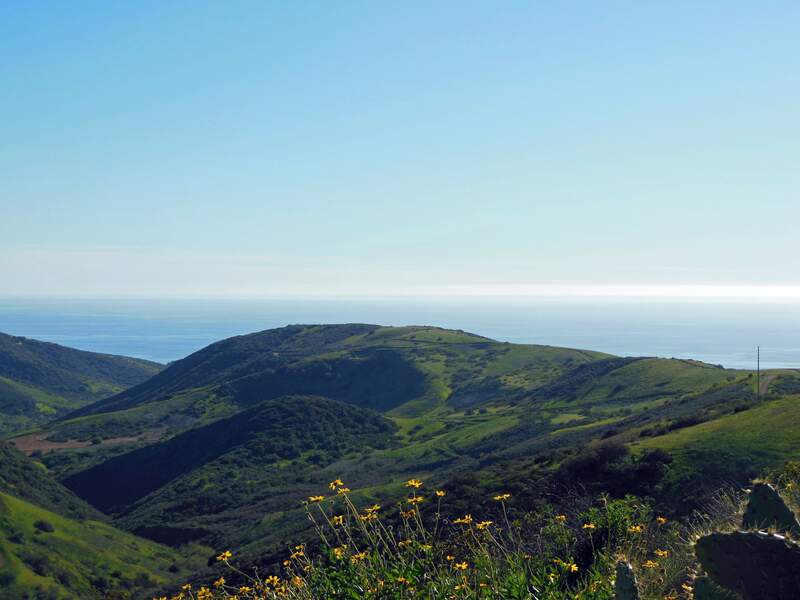 The backcountry and wilderness areas of Crystal Cove State Park offer you 18 miles of hiking trails through 2,400 acres of native wilderness mostly the endangered coastal sage scrub plant community. For energetic backpackers, there are three environmental campgrounds, one in a canyon and two at the higher elevations. The higher trails offer beautiful vistas of the mountainous backcountry, geological formations, and the blue Pacific Ocean. Exploring the lower trails offers hiking through riparian woodlands with oak and sycamore trees along the seasonal Moro Creek. Whether you explore the high trails or the low trails or both, you will find ample evidence of native plants and animals, and a sense of escaping from civilization into the beautiful solitude of natural history.